…AND SHARE THE GOOD STUFF IN LIFE. 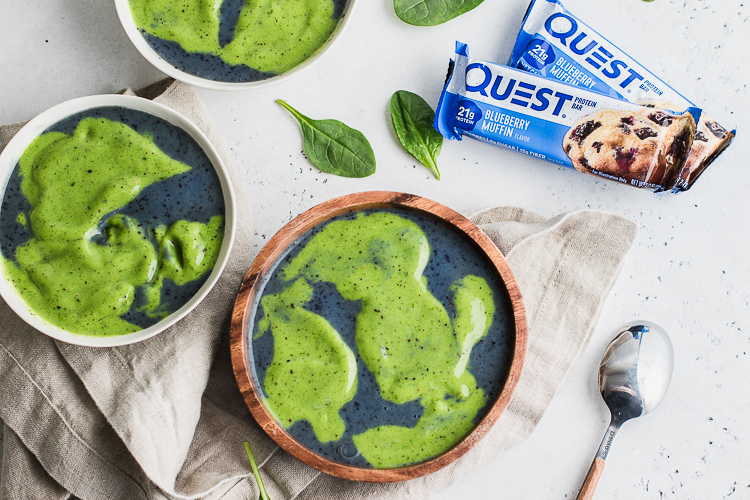 NOW OPEN YOUR EYES AND EXPERIENCE THE ECSTASY OF HOW THIS RECIPE IS MADE HERE! 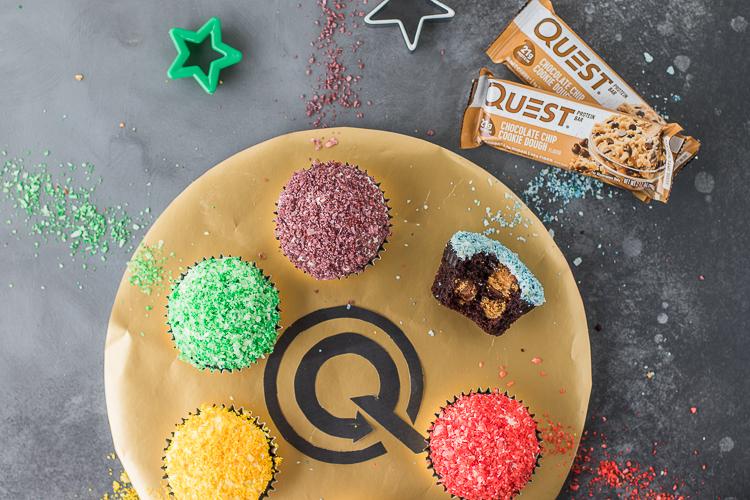 Break Quest® Bar into small pieces and add them to a mini-blender and process into fine crumbs. 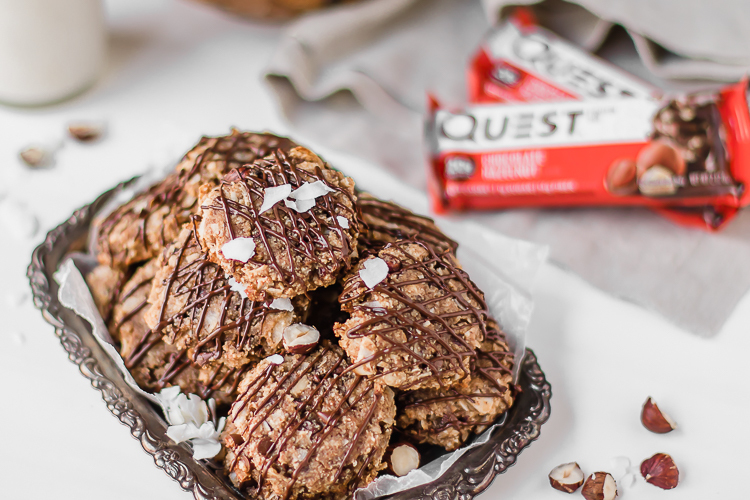 In a medium bowl, add Quest Bar® crumbs, Quest Protein Powder™, almond flour, sweetener, oats, cinnamon, baking powder, baking soda, and salt. Add to bowl, syrup, apple sauce, water, butter, egg, maple extract and vanilla extract and whisk until completely combined. Fold in chocolate chips. Line a cookie sheet with parchment paper and spray with non-stick cooking spray. Using a cookie scoop, scoop out 12 balls and drop them onto the baking sheet making sure to leave about an inch between each scoop. Bake for 9 minutes. Repeat steps 8 and 9 two more times. 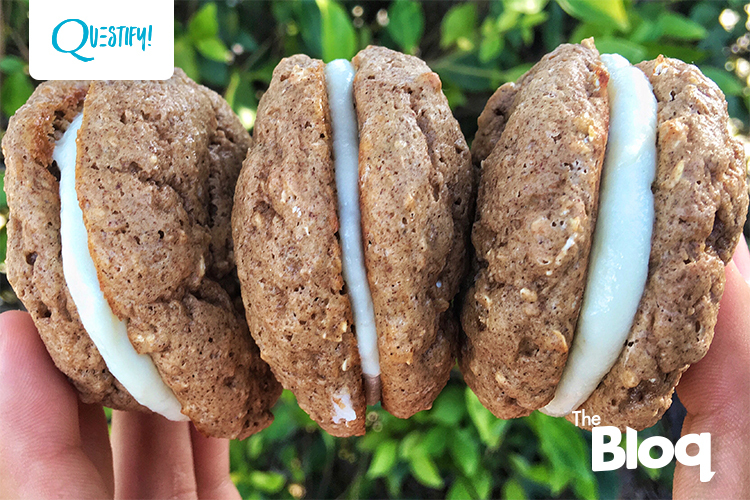 Scoop out 1 tablespoon of the filling and place on the bottoms of 15 of the whoopie pies and top each one with the other halves. Written by: Levi Harris on August 11, 2016.on August 18, 2016.